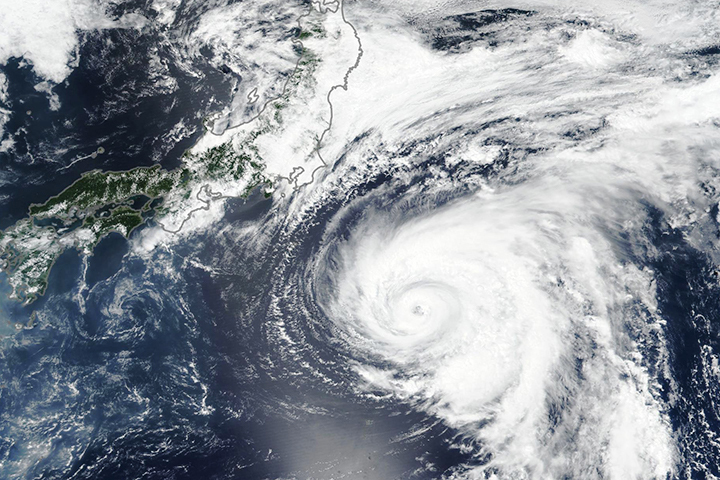 In just 30 hours from October 23-24, 2018, a tropical storm in the western Pacific Ocean exploded into a category 5 super typhoon. 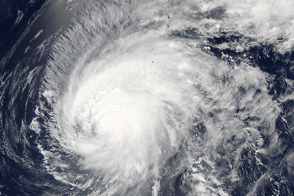 Now that storm has made a direct hit on Tinian and Saipan in the Northern Mariana Islands, a territory of the United States. 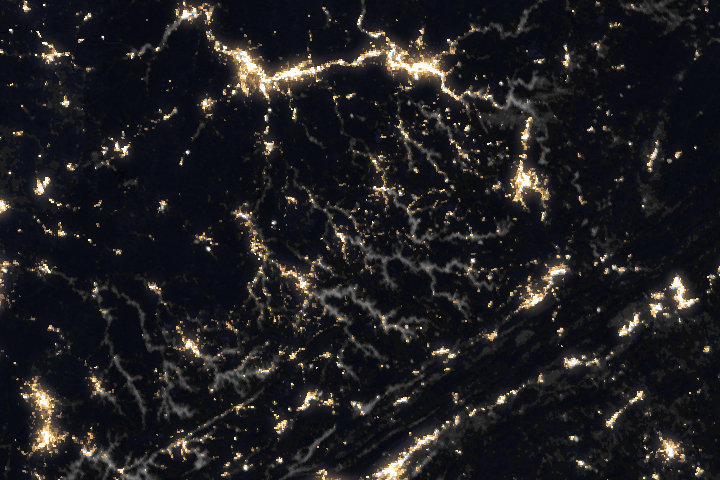 The natural-color image above was acquired in the early afternoon on October 24, 2018, by the Moderate Resolution Imaging Spectroradiometer (MODIS) on NASA’s Aqua satellite. Several hours later, the NOAA-20 polar-orbiting satellite acquired nighttime images of the storm around the time of landfall. This animation shows the development of the storm’s wind field between October 21-24, 2018. The strongest winds appear red; lighter winds are white. Note the rapid intensification starting on October 23. The wind data comes from the Goddard Earth Observing System (GEOS) model, an experimental weather model that scientists at NASA use to analyze global weather phenomena. The GEOS model ingests wind data from more than 30 sources, including ships, buoys, radiosondes, dropsondes, aircraft, and satellites. At 10 p.m. local time (12:00 Universal Time) on October 24, the U.S. Joint Typhoon Warning Center reported Yutu’s sustained wind speed was 155 knots (180 miles/255 kilometers per hour), with gusts to 190 knots. 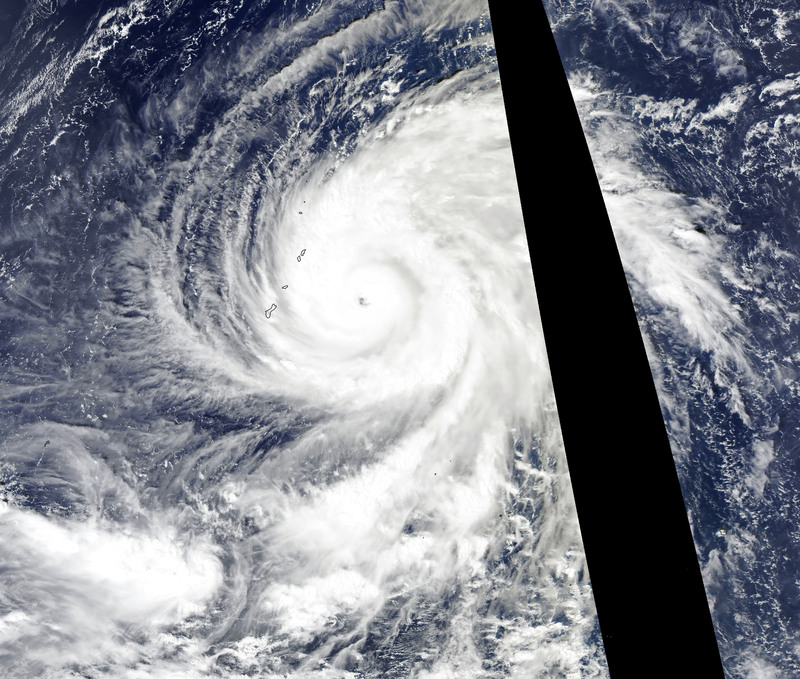 Typhoon-force winds extended out to 85 miles (140 kilometers) from the eye, with tropical storm-force winds stretching to 240 miles (390 kilometers). Maximum significant wave height in the open ocean was estimated at 52 feet (16 meters), and forecasters were concerned about signficant storm surges on the Northern Mariana islands. NASA Earth Observatory images by Joshua Stevens, using MODIS data from NASA EOSDIS/LANCE and GIBS/Worldview and GEOS-5 data from the Global Modeling and Assimilation Office at NASA GSFC. Story by Mike Carlowicz. 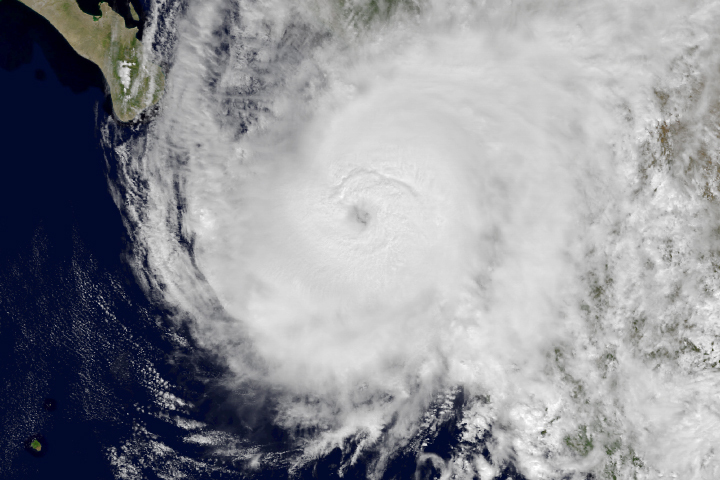 In just 30 hours, the cyclone grew from tropical storm to category 5 monster. 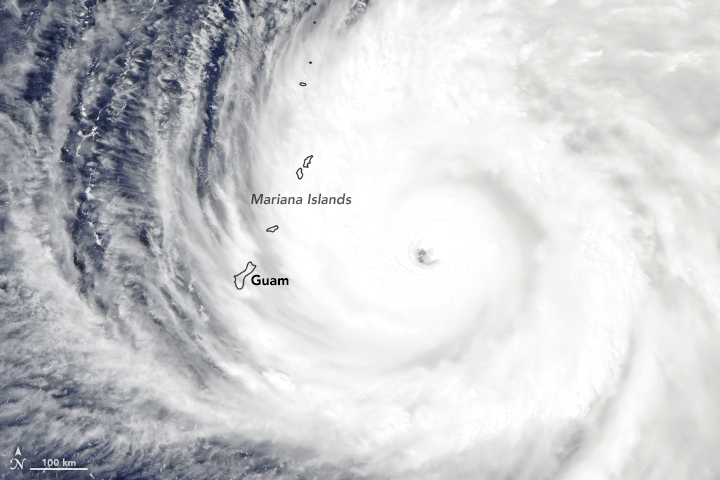 It may be the strongest storm to ever hit the Northern Mariana Islands, a territory of the United States. 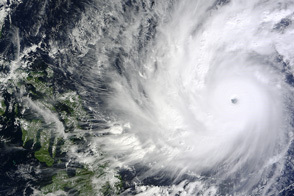 AccuWeather (2018, October 24) Super Typhoon Yutu, the most powerful tropical cyclone on Earth in 2018, strikes the Northern Mariana Islands. Accessed October 24, 2018. 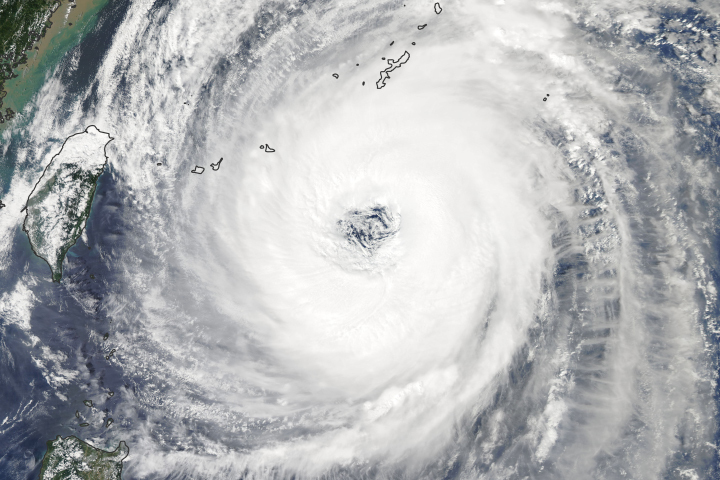 Category 6, Weather Underground (2018, October 24) Category 5 Super Typhoon Yutu Pounding U.S. Northern Mariana Islands. Accessed October 24, 2018. U.S. National Weather Service, Tiyan, Guam (2018) Tropical Cyclone Products. Accessed October 24, 2018. The Washington Post (2018, October 24) Category 5+ Typhoon Yutu is set to ravage U.S. territories of Saipan, Tinian with 180 mph winds. Accessed October 24, 2018. 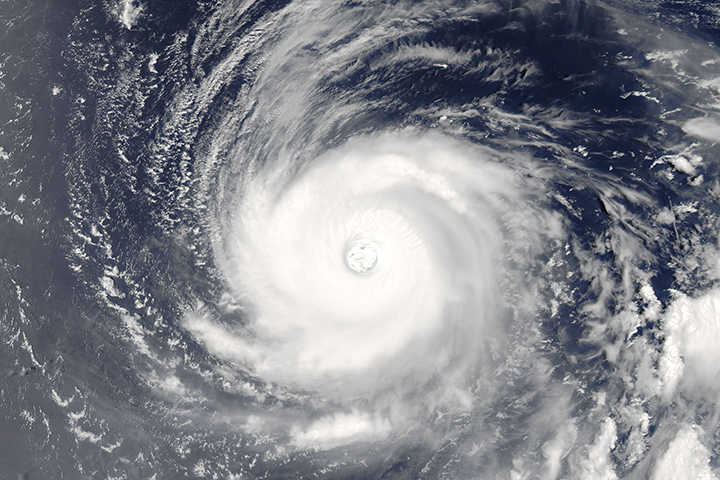 The Washington Post (2018, October 24) Extreme Category 5 Typhoon Yutu makes a devastating landfall in Northern Mariana Islands, a U.S. territory. Accessed October 24, 2018. 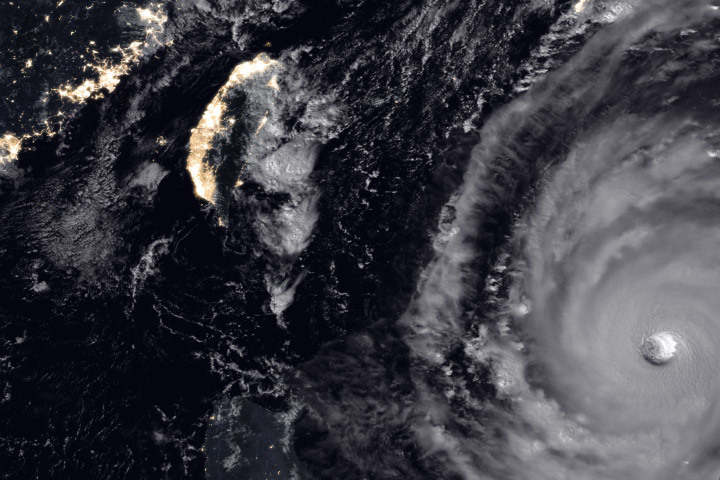 Weather Underground (2018) Super Typhoon Yutu. Accessed October 24, 2018. 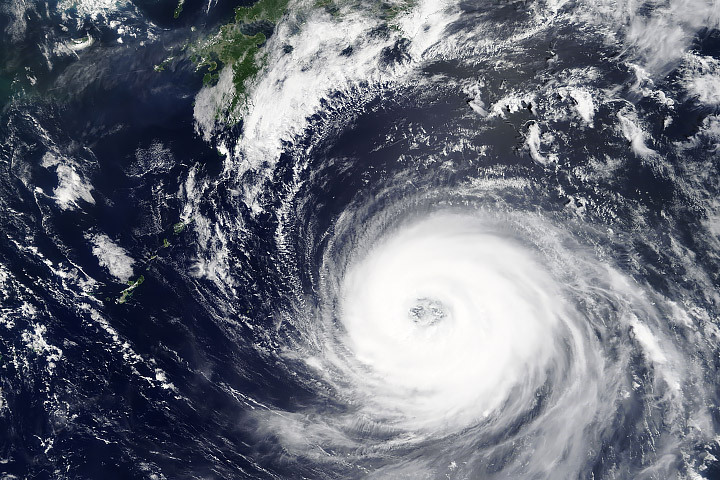 Wikipedia (2018) 2017 Pacific Typhoon Season. Accessed October 24, 2018.